The place settings at your wedding can really set the tone for what your guests can expect at your reception. If you have plastic cutlery, for example, they know you’re planning a pretty lax night. (Either that or they’ve found the kids table.) On the other hand, a table set for a queen means a completely different night is ahead of them. Now we all know the basic rules: knives on the right and forks on the left, line the cutlery up an inch from the table edge, make sure the knives face into the plate etc. etc. 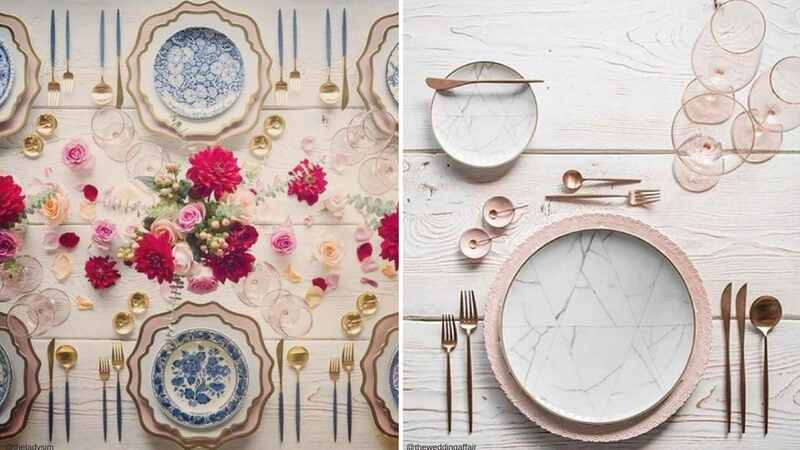 But, if you’re not sure what style of table setting you should choose for your wedding, don’t fret! We’ve put together a basic guide to help you out. Formal settings are perfect for your classic, lah-de-dah wedding. Think ballrooms and 4-course meals. A formal setting has the most elements of any type and it can really dazzle your guests. The setting should be fairly symmetrical so any little error will look out of place. This includes the décor as well. Make sure your waiters and waitresses are well-versed in the goings on of the formal table setting because it can be a bit overwhelming. In particular, they should know how to serve using the charger and when to remove a glass from the setting. An informal setting is probably the most common at weddings. This type of setting will go well with most themes and is easy to style. With fewer glasses and cutlery, the informal setting leaves more room for décor. An Informal setting can go without the individual salt and pepper, bread plate and the extra wine glass. With fewer items on the table, every little detail is important. This is a great opportunity to work your wedding colours into the venue using your napkins and menus. 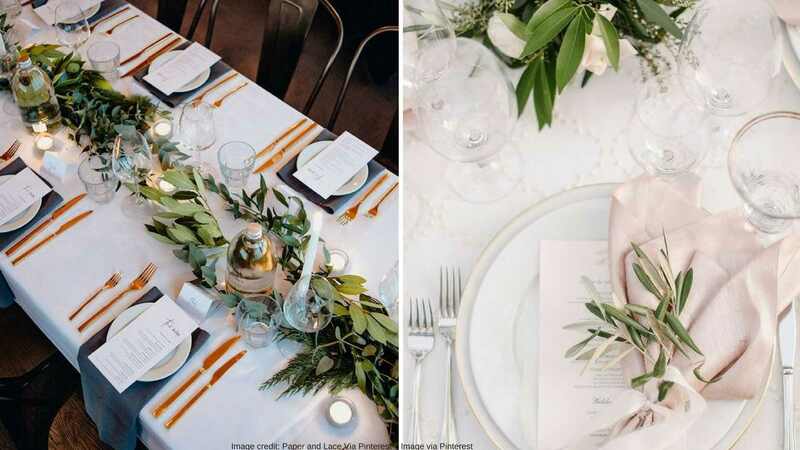 Be sure to ask your venue about what kind of dinnerware and cutlery they provide (if any) in case you want to go a different way. This setting is essentially a simpler version of the informal setting. You will have fewer glasses and no dessert-ware. This style would suit a very casual wedding – one with a separate dessert table or a single-serve dessert like cupcakes of fruit cups. 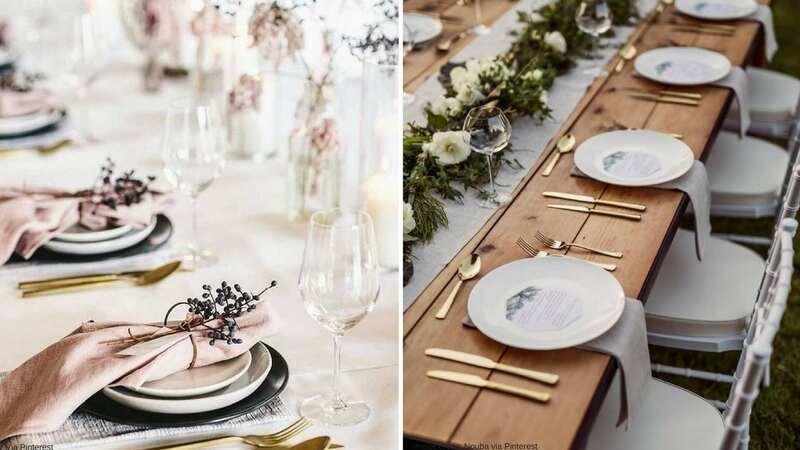 A basic setting would work well for an outdoor reception or next day brunch and DIY and budget weddings would love the simplicity of this style. It is also another fantastic opportunity to show off your wedding colours and design skills. The final type of table setting is the buffet style. This is as bare as it gets. With no plate or charger and sometimes no utensils, the only things left are the glasses and décor. The plates should always be placed at the buffet but it’s up to you where you want to place the cutlery. There you have it! Does it seem much easier now? So long as you give your guests the basics, the rest is up to you. Sign off in the comments if you have any cool place setting ideas.